Maximum Nutrition Everyday Roach Ration is a premium roach food formulated to promote health, vigor, and vitality by meeting and exceeding the unique nutritional needs of Dubia roaches at each stage of development. Maximum Nutrition Everyday Roach Ration (MNERR) is designed to maximize Dubia roach growth and reproduction while at the same time creating nutritious and delicious feeders for the animals that eat them. First, MNERR is extensively researched and tested. It contains all the nutrients roaches need for maximum growth and reproduction. While this may sound simple, it’s no small thing. There’s a large body of entomological research on insect rearing, and a big part of that is devoted to diet and nutrition. While cockroaches are relatively forgiving insects, they still present challenges. In fact, getting their diet wrong versus right can mean the difference between a successful breeding project and an unsuccessful one. And we know all about that. We’ve seen it all in our colonies, and in testing our roach chow over the years. It’s common to see a difference of 100% in growth and productivity between one diet and the next described in the scientific literature. That’s huge! And these are not “garbage” diets versus “ideal” diets. They’re comparisons between two or more diets that scientists reasonably expected to succeed. This is why we think nutrition matters, and why we put so much effort into developing our roach chow. The fact is that all insects have certain dietary needs that if unmet may lead to slow growth and smaller batches of less viable offspring. And because adult Dubia roaches build on the nutritional reserves they obtain through their diet as nymphs, a poor diet is a multi-generational cycle that can take a very long time to break. In fact, research suggests cockroaches generally do not ever recover from nutrient deficiencies suffered early in life. Studies show that once nutritional deficiencies are introduced to young nymphs, they never catch up to their healthier peers – even when they’re given access to full nutrition later on. Yikes! This is a very strong argument for the power of nutrition, and for never neglecting your roaches! They could end up irreversibly unhealthy and unproductive, and live shorter lives. On the other hand, healthy, nutritionally replete roaches have healthy offspring. Healthy offspring have an innate nutritional advantage they can leverage with proper feed. From birth, Dubia roaches eat in preparation for the demands in adulthood. Much of the nutrition nymphs store is used later for reproduction. This is especially true of females. 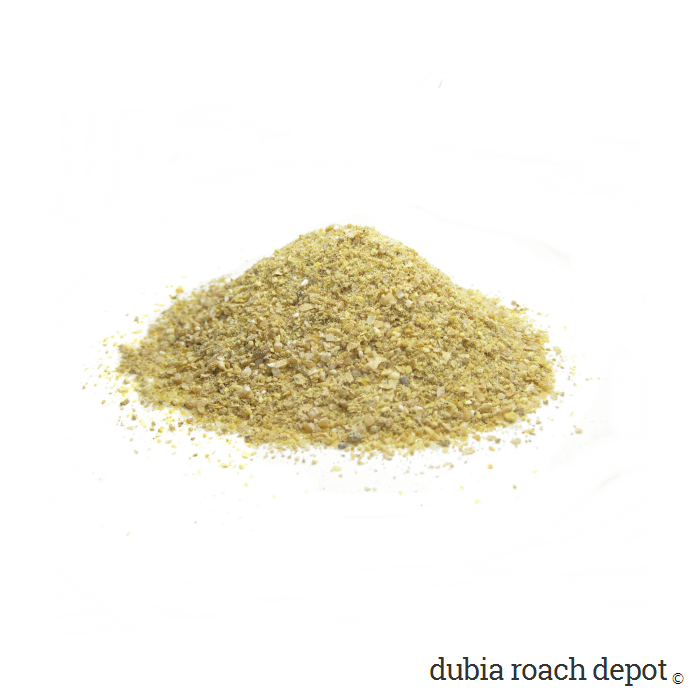 We developed Maximum Nutrition Everyday Roach Ration with the goal of creating a superior roach chow with all the nutrients Dubia roaches need in each life stage, so they can achieve maximum production in adulthood. Second, not only do Dubia roaches have general nutrition requirements, but they also have specific needs at different life stages. And, these needs can vary at different times within each stage. Sometimes they will eat almost exclusively nutrient X, while other times they prefer nutrient Y. So what does this mean? It means Dubia roaches and other species likely “self-select” foods that contain the nutrients they need, when they need it. To take advantage of their innate ability for dietary discernment, the roaches must have (a) access to the nutrients they need and (b) the ability to pick the foods they prefer. This means that while some roach chow ingredients can be blended finely, others should remain in large enough pieces that the roaches can pick them out or avoid them. If a food containing the nutrient they want is blended too fine, they may become deficient in that nutrient. or they may overeat to get enough of it. Neither option is likely to lead to optimum health or maximum production. The most well known example of damage to roach health from excess nutrient consumption is protein. Contrary to popular opinion, protein can be fatal for roaches if they eat too much of it. MNERR addresses this issue. 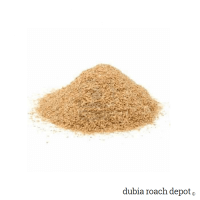 It contains ingredients with nutrients Dubia roaches need. It also contains ingredients we’ve seen them select at different life stages. These items are coarsely ground so the roaches can choose when and how much to eat. Self-selection is a sophisticated survival strategy. It’s taken a lot of work on our part to exploit it, but we think our approach leads to healthier, more productive roaches. And anecdotally, this is what we’ve got! We began working on Maximum Nutrition Everyday Roach Ration after becoming dissatisfied with store-bought roach chow. The stuff we made in our kitchen didn’t seem much better. Our Dubia production was OK, but we thought we could do better. We were also concerned about our own animals. 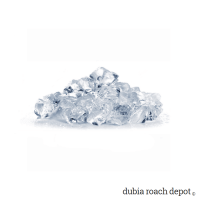 Dubia were their primary diet, and we wanted to give them the healthiest feeders we could. In time, we turned to academic, industry, herpetological, and our own observational research to choose basic ingredients and refine our formula. So does Maximum Nutrition Everyday Roach Ration work? It works great in our colonies! We use it exclusively along with fresh fruits and vegetables and occasional treats, and our production is fantastic. Our work to refine MNERR is never done. However, we’re very satisfied with what it does for our roaches. – Read our roach chow instruction page for information about how to get the most out of MNERR. – We developed this roach chow by testing its effects almost exclusively on Dubia roaches, but we don’t see why MNERR won’t help you raise other roach species – particularly tropical roaches. These are cockroaches, after all. If you feed it to other species please let us know how it goes! We currently feed it to two other species, and it’s working great. – This is roach food, not people food. It is not intended or packaged for human consumption. Please don’t eat it! Required fields marked with *. Email will not be published. Like Our Products or Service? Give it a review! Click the Reviews tab to the left to review this product, or visit our Customer Testimonials page to review our website, service, or anything else you like (or don’t). This is the best place to buy Dubia roaches. They ship fast, roaches always look great, and my reptiles go CRAZY for them!